Ooooh, it's that time of the year where I begin to feel exhilarated everyday for the run up to Christmas and there is so many events on this year in Manchester to look forward to. I decided to put them down in a list and if you decide to go to any, let me know! I might see you there! I'm getting excited thinking about it. 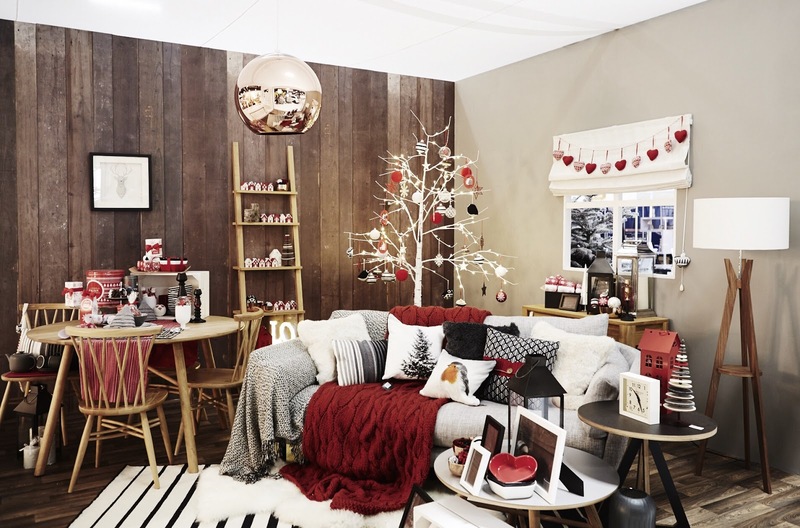 1 // Ideal Home Show: WHEN? 12th - 15th November 2015. WHERE? EventCity Manchester WHAT? The Ideal Home Show at Christmas is an event sponsored by GoCompare.com and North's biggest Christmas exhibition with over 300 exhibitors to give you some x-mas influence! As well as this, there is also live entertainment, festive features and celebrity appearances from TV Chef Gino D'Acampo, interior designer Laurence Llewelyn-Bowen, wine expert Olly Smith and model/tv personality Katie Piper! The Christmas Theatre will also have a range of expert talks, seasonal nibbles and a champagne bar! If you come to this winter wonderland then let me know because I'll be there too! You can book tickets here! 2 // Manchester Ice Rink - WHEN? 12th November - 3rd January 2015 WHERE? New Bailey on Irwell Street WHAT? The Ice Rink is a big attraction that can be visited every year! The ice rink is the main attraction but you can also find family-friendly fairground rides, DJ's, themed sessions and family entertainment to get you in the festive spirit! 3 // Coca-Cola Christmas Truck - WHEN? 5th December 2015 WHERE? Outside the Great Hall at the Trafford Centre WHAT? This truck is iconic to Christmas and when people see the advert they know it's the start of the Christmas season. You can capture a photo next to the bright truck and enjoy a bottle of coca-cola! 4 // Merry Pringles Tree - WHEN? 1st December - 24th December 2015 WHERE? Spinningfields, Crown Square WHAT? A large tree created out of 1,600 Pringles can holds a Advent calendar. If you take a selfie with the tree and post it using the hashtag #MerryPringlesTree you can have the chance to win some amazing prizes and gifts! I missed this last time so I will definitely have a go this year! Ooh I need to see the Coca Cola Lorry this year! I have never managed to see it!